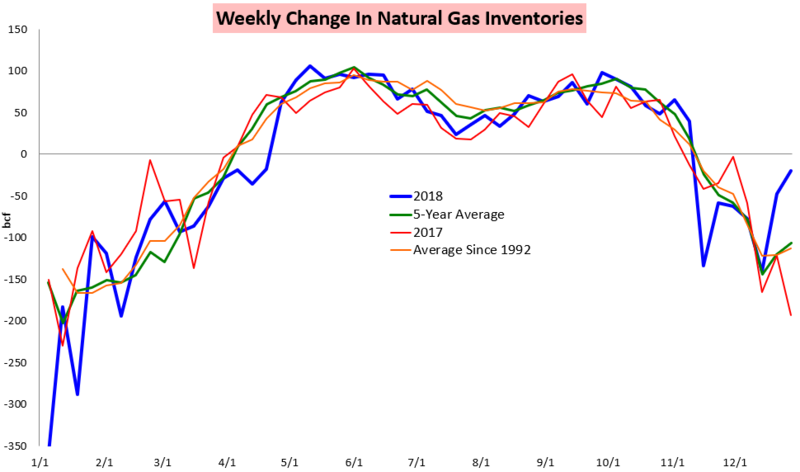 Excitement began to return to the natural gas space as the February contract shook off a very small storage draw announced by the EIA to rally over 3%. 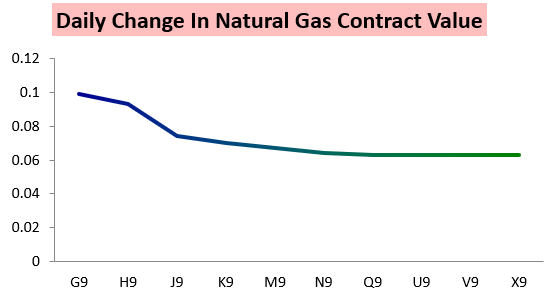 The February contract was not alone, as the entire natural gas strip rallied Friday. 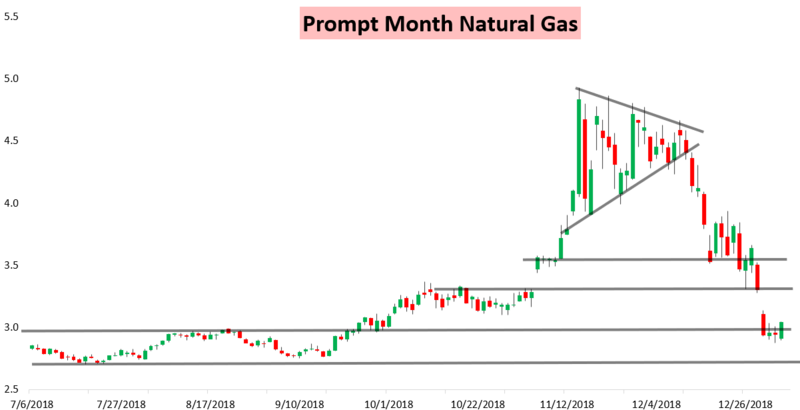 Such a bullish move was not particularly surprising as t in our Morning Update we changed our daily natural gas sentiment to "Slightly Bullish" for the first time as we saw "increased long-range cold risks" that could support prices, with GWDD additions helping cancel out what we said would be, "...a very bearish EIA print..."
Yet this very bearish EIA print turned out to be even more bearish than we expected, as we were looking for a -42 bcf net implied flow to be announced by the EIA before they announced a minuscule -20 bcf net implied flow. 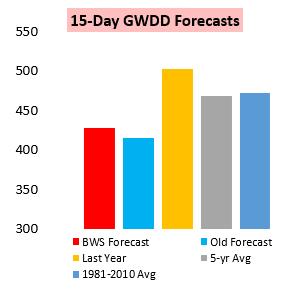 All last week we had been warning clients that we were looking at the loosest weather-adjusted power burns of the season, and we did see bearish risks with our estimate today, but the magnitude of the miss was certainly a surprise with a large 22 bcf build in Salt storage. While the print was quite loose relative to the last several weeks, there is little doubt that the Christmas holiday played a large role too, as comparatively the storage withdrawal was not *as* loose when looking at just other weeks that held Christmas. 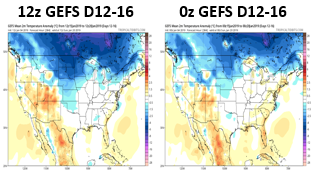 Yet gas prices shook this off as we warned was possible, and some colder risks on afternoon GEFS weather model guidance helped as well (images courtesy of Tropical Tidbits). 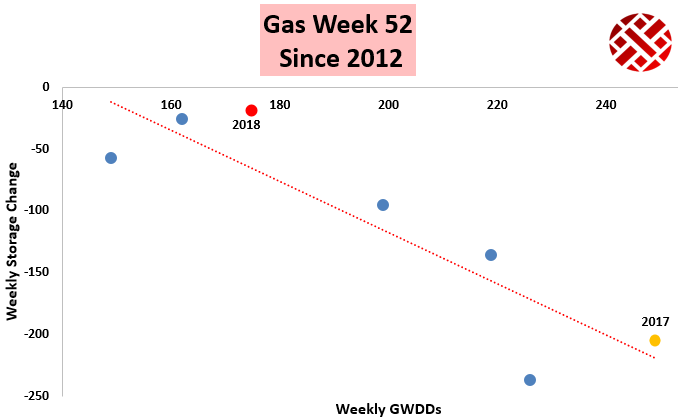 Then just recently we released our Pre-Close Update which outlined our expectations for how weather model guidance will trend over the weekend and how we see natural gas price risk skewed next week. 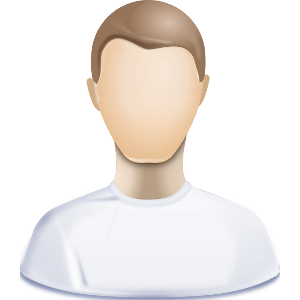 To give all this research a look, try out a 10-day free trial here.